This morning, U.S. Sen. Chuck Grassley (R-IA) took to the Senate floor to respond to an editorial in the Wall Street Journal last week that he said “smears biofuels.” The op-ed was written by the the leaders of the National Chicken Council and the National Council of Chain Restaurants. The following is the full text of Grassley’s speech. While reading through the pages of the Wall Street Journal late last week, I was overcome by a sense of déjà vu. Once again, chain restaurants and chicken producers are teaming up to smear homegrown biofuels producers at the expense of energy independence and cleaner air. It seems like every couple of years, food producers or grocery manufacturers team up with big oil to try to undermine the extremely successful Renewable Fuel Standard. In 2008, it was big food producers, led by the Grocery Manufacturers Association. In 2010 and 2012, it was global integrated meat producers led by Smithfield Foods and the American Meat Institute. The opinion piece in the Wall Street Journal, this time written by the heads of the National Chicken Council and the National Council of Chain Restaurants, is no different. It makes many of the same erroneous and intellectually dishonest claims that we’ve heard dozens of times before. I’m going to take this opportunity to do a simple fact check of some of the most egregious claims. First, they claim that since 2005, when the Renewable Fuel Standard was first adopted, costs of vital food commodities, including corn, grains and oilseeds, poultry, meat, eggs and dairy have risen dramatically. The fact is, consumer food prices have increased by an annual average of 2.68 percent since 2005. In contrast, food prices increased by an average of 3.47 percent in the 25 years leading up to passage of the RFS. Prices for chicken breast have been nearly flat over the past seven years, averaging $3.43 per pound in 2007, and just 3 pennies more, to $3.46 per pound in 2014. Corn prices are expected to average $3.50 per bushel this year, according to USDA. This would be the lowest price in nearly 10 years, and 17 percent below the average price of $4.20 a bushel in 2007, when the RFS2 was enacted. That’s a fact: with ethanol production at record levels today, corn prices are lower now than they were in 2007. It’s been proven time and again by the EPA, USDA and others – there is no correlation between corn prices or ethanol production and retail food inflation or food prices. It’s just a fact. Second, they claim that as a result of the RFS, corn is being “diverted” from livestock feed to ethanol. Again, this claim is false. 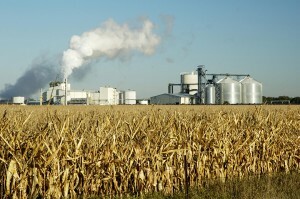 Corn used for ethanol has come from the significant increases in corn production since 2005. In 2005, American farmers produced 11.1 billion bushels of corn. In 2014, they produced 14.1 billion bushels. And, one-third of the corn used for ethanol production is returned to the market as animal feed. The amount of corn and corn co-products available for feed use is larger today than any time in history. So, it’s hardly being diverted. The same can be said for their misleading claim that ethanol production has contributed to global food scarcity. In the 15 years prior to enactment of the RFS in 2005, U.S. corn exports averaged 1.80 billion bushels per year. In the 10 years since RFS passage, corn exports have averaged 1.84 billion bushels. So, with 14.3 billion gallons of corn ethanol, corn exports are slightly higher than they were prior to the RFS. The authors of the opinion piece also claim that corn-ethanol has resulted in a significant increase in the volatility of food costs, which has left prices higher. I looked into average food inflation going back to 1970. During the 1970s, food inflation averaged 7.8 percent. In the 1980s, it was 4.6 percent. In the 1990s, it was 2.8 percent. In the 2000s, it was 2.9 percent. So far this decade, it’s been 2.2 percent – or the lowest rate of increase, at the same time we’re producing record amounts of corn-ethanol. Finally, they claim the increases in feed costs have affected the American production of beef, pork and chicken. They state that production had increased consistently over the past 30 years but has now leveled off due to the higher cost of feed. Again, this is nowhere near reality. The reality is, USDA is projecting red meat and poultry production of 95.2 billion pounds this year, up 10 percent from 2005. More growth is expected. USDA is projecting a production record for red meat and poultry in 2016, with 96.8 billion pounds; up 12 percent from 2005. Just a few years ago, when corn prices had peaked at more than $7.50 a bushel, grocers, food producers and restaurants were claiming that food inflation would approach 10 percent because of the RFS. 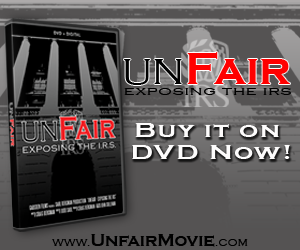 They warned that they’d be forced to pass those higher costs on to consumers immediately. Well, with corn at $3.50 a bushel today, have consumers seen a dramatic reduction in retail food prices? Are the benefits of lower grain costs being passed onto the consumer by big food? Corn prices have come down by more than half in the past 2 ½ years, so why are food producers holding prices steady or increasing them? The fact is, domestic renewable fuel producers are feeding and fueling the world. The 14.3 billion gallons of ethanol that was produced in the United States could more than displace the gasoline refined from all of the oil imported from Saudi Arabia. I’m proud of our nation’s farmers and biofuels producers. Efficiency gains have allowed farmers to produce ever increasing yields with greater environmental stewardship, including using less water and less fertilizer. Ethanol production has also seen efficiency gains. In 1982, one bushel of corn produced about 2.5 gallons of ethanol. 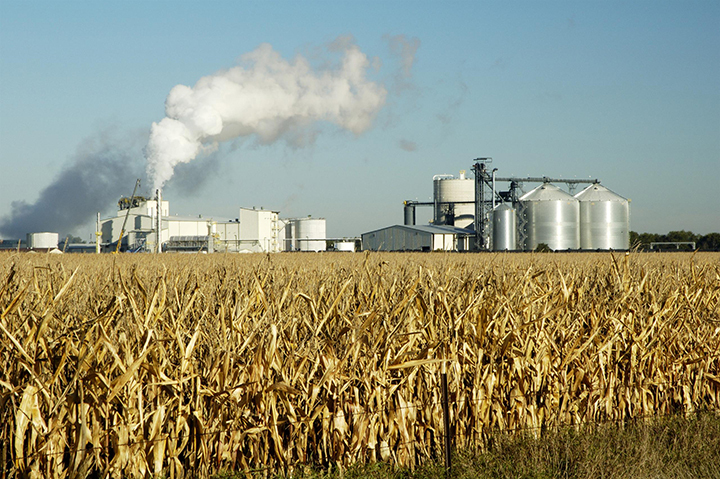 Today’s ethanol plants are producing more than 2.8 gallons. According to the U.S. Energy Information Administration, if ethanol yields per bushel had remained at 1997 levels, it would have required 343 million bushels, or 7 percent more corn, to produce the same amount of fuel in 2014. That corn would have required the use of 2.2 million additional acres, or approximately half of New Jersey. Homegrown biofuels are extending our fuel supply and lowering prices at the pump for consumers. Biofuels account for 10 percent of our transportation fuel today. This economic activity supports American farmers, rural economies, and keeps money at home, rather than sending it abroad. In recent years, our national security and economic well-being has been too dependent on oil imports from tin-horn dictators and regimes that sought to do us harm. We don’t need to put a Navy fleet in harm’s way to protect the shipping lanes for biofuels out of the Midwest. Our country needs a true all-of-the-above energy policy. And biofuels are an important component of that policy. In 2005 and again in 2007, the federal government made a commitment to homegrown, renewable energy when Congress passed the Renewable Fuel Standard. The policy is working. I intend to defend all attacks against this successful program whether they come from big oil, the EPA, big food or others.